We are a professional wildlife pest control company providing[p2p type=”slug” value=”live-animal-trapping”] live animal trapping [/p2p]and relocation services in Michigan. 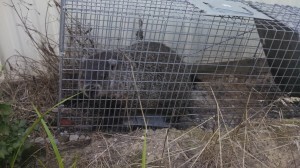 Groundhogs can cause many problems from their digging and burrows, although small they can be an aggressive animals if cornered and will defend themselves. Their large teeth and claws can cause serious harm to animals or humans that may come in contact with them. Call Drivin Me Batty for trapping and removal of these animals to keep your home, business, or office safe from harms way. We are proficient in trapping and removal of these animal with live trap cages for the safest and most humane method used. The groundhog, or woodchuck, is one of 14 species of marmots. These rodents live a feast-or-famine lifestyle and gorge themselves all summer to build up plentiful reserves of fat. After the first frost, they retreat to their underground burrows and snooze until spring, drawing their sustenance from body fat. While hibernating, the animal’s heart rate plunges, and its body temperature is not much warmer than the temperature inside its burrow. In the spring, females welcome a litter of perhaps a half dozen newborns, which stay with their mother for several months. Groundhogs are the largest members of the [p2p type=”slug” value=”389″]squirrel family[/p2p]. Though they are usually seen on the ground, they can climb trees and are also capable swimmers. These rodents frequent the areas where woodlands meet open spaces, like fields, roads, or streams. Here they eat grasses and plants as well as fruits and tree bark. 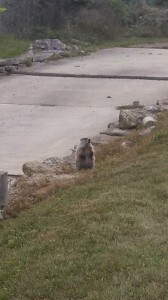 Groundhogs are the bane of many a gardener. They can decimate a plot while voraciously feeding during the summer and fall seasons.